We are a street food kitchen, serving quality, stand-out food from around the world in a cosy licensed bar. We care about food, and cook every meal fresh to order. Each and every one of our dishes has been meticulously chosen and taste tested to embody the spirit, flavour and culinary heritage that imbues some of the most exciting street food to be found across the globe. 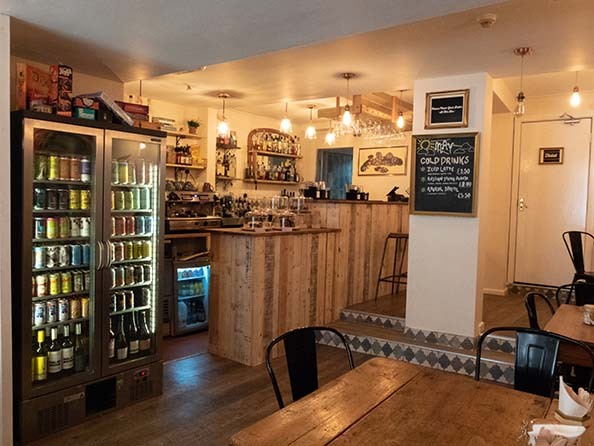 Our bar boasts an ever evolving selection of top tier craft beers, innovative staff-led cocktails, and a large range of quality spirits and seasonal wines. We also pride ourselves in our selection of ethical soft drinks, locally roasted coffee and loose leaf teas. 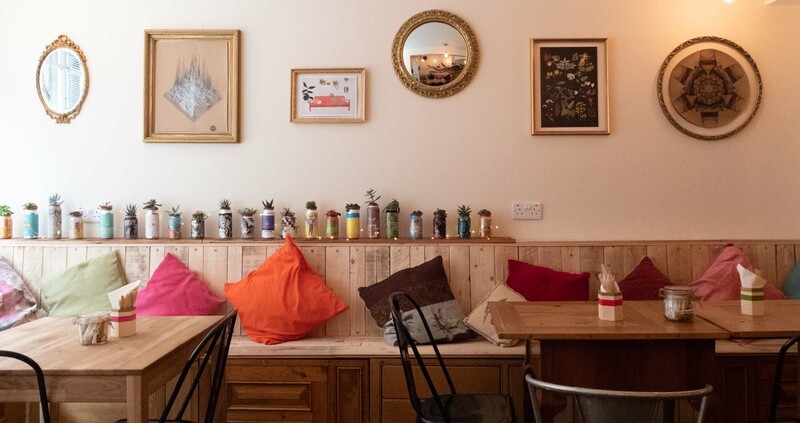 We love the community feel of York and hope to bring that community from the streets to The Nook, using local suppliers wherever possible, and hosting regular live music and poetry nights with local performers. Tucked away from the main hustle and bustle, we are only a couple of minutes walk from both the City Centre and Clifford’s Tower. Take a break from exploring York, come to eat, drink study, or relax, and please feel free to bring your dog! We aim to give our customers the real “Street Food” experience, by creating our own distinctive street food meals and brewing our own unique drinks in our kitchen. Whether you’re hungry, thirsty, a mixture of both or neither at all, The Nook’s street food kitchen provides a relaxing and enjoyable experience for all. We aren’t just a kitchen and bar either; we also have a large selection of entertainment available whenever possible, including live music shows, stand up comedy or even stand up poetry acts from several artists around the country. Who knows, maybe you’ll even want to perform something special for the other customers. We welcome you to bring your reality to a halt for a moment and pay us a visit with your friends, family and pets at York’s most relaxing street food kitchen; The Nook. The Nook offers quality, stand-out street food from around the world. Our food is cooked to order and we will never compromise on quality, presentation, or flavour. All of our ingredients are fresh, and locally sourced wherever possible. We are incredibly good value for money, each of our dishes costing just £8. Beef brisket slow-cooked in red wine, served with Roquefort in crusty French bread. Tender chicken marinated in a blend of spices, served golden on a bed of salad and fresh chillies. Slow roasted pork belly served in a duo of bao buns with hoisin, quick pickled veg, and Sriracha mayo. In-house handmade burger, served on a brioche bun with tomato, lettuce, onion, and Monterey Jack cheese. Juicy King Prawn marinated in cajun seasoning served in soft shell tacos with a spicy Mexican avocado salsa. Rich Cambodian style beef marinated in a garlic and oyster sauce, served on a bed of salad, topped with a fried egg. The War of the Roses. One with Yorkshire cheese, one with Lancashire. Served with pickle and salad. Vibrant salad with intense flavours from sumac, fried pita, pomegranate seeds, and a drizzle of lemon pepper dressing. Topped with halloumi or tofu. Keep up with everything that’s happening at the Nook, from our live music events to our monthly specials by following us on Facebook, Twitter and Instagram.